Global Healing is fortunate to have had many wonderful volunteers over the years. Thank you Dr. Arup Roy-Burman & Dr. Sheila Jenkins. 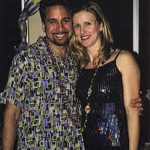 Dr. Arup Roy-Burman & Dr. Sheila Jenkins at their first hosted fundraiser, a Mardi Gras themed party. The fundraiser was held in 2003, raising funds and awareness for Global Healing & Roatàn. In the fall of 2001, Dr. Arup Roy-Burman and Dr. Sheila Jenkins set out to travel the world. Long interested in global health, the couple planned to spend four months in Asia, four in the U.S., and four in Latin America—looking for places around the globe where they could make a long-term difference. Fortunately for Global Healing, Roy-Burman had been introduced to our organization a few years earlier while he was a critical care fellow at Children’s Hospital Oakland. In 1997, two doctors from Global Healing’s pediatric cardiac program in Tbilisi, Georgia, came to Children’s to shadow and receive training from doctors providing critical care to patients after heart surgery. Roy-Burman was among those doctors the team shadowed, and would later travel to Georgia with Global Healing to help the center grow its general pediatric surgery program. As they traveled the globe, Roy-Burman, a pediatric intensive care specialist, and Jenkins, a pediatric neurologist, sought a place to create a global health program for physicians or physician trainees who were doing regular day-to-day medical care, rather than one-time surgery and post-operative care. From that conversation, the Roatán Volunteer Pediatric Clinic (RVPC) was born. 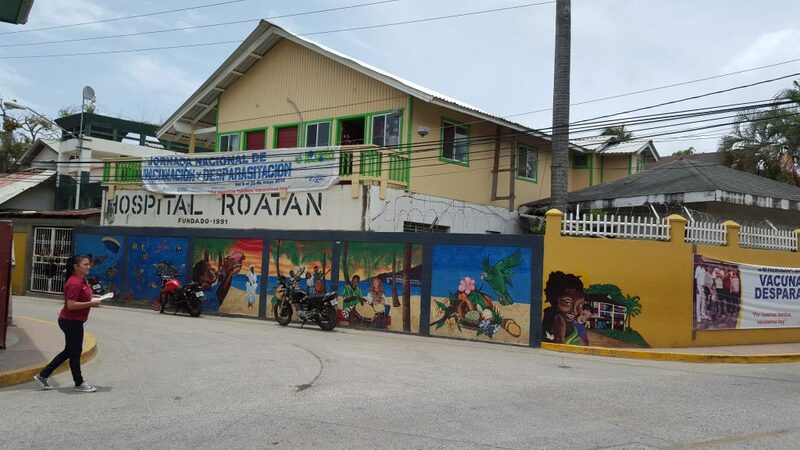 Global Healing established the Roatán Volunteer Pediatric Clinic (RVPC) in 2003 as a joint project with Public Hospital Roatán to provide much needed medical care to children on the island. Jackson introduced the couple to the leadership of the public hospital, who supported the idea of creating a pediatric clinic. Roy-Burman and Jenkins extended their stay in Roatán, drafted a rough business plan, met other influential people on the island, and then pitched the idea to Global Healing. They saw it as a way for Global Healing to become a truly global organization, extending our reach now that the pediatric cardiac program—which had been renamed the Jo Ann Medical Center in honor of the late Global Healing founder Jo Ann McGowan—was thriving in Georgia. 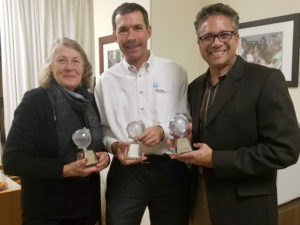 Alice Gruber, Carl Taibl, & Dr. Arup Roy-Burman were celebrated at their last board meeting in December 2018. Roy-Burman and Jenkins joined the Global Healing board and the clinic launched in July 2003. Since then, the clinic has conducted 50,000 patient-visits, with mothers who were served there as children now coming in with their own children. Over the years the clinic has been headed up by three medical directors in addition to Roy-Burman—Dr. Tanya Nauenberg, Dr. Eric Scher, and Dr. Howard Gruber along with his wife Alice Gruber, a former member of the Global Healing board—while Roy-Burman has continued to play a key role in the clinic’s success. He recruited the initial volunteer resident physicians, with over 100 residents from around the U.S. eventually coming through the clinic. He also saw to it that undergraduates could volunteer in the clinic as well through a program with Stanford, eventually creating the Health Education and Advocacy Liaison (HEAL) internship for college students. 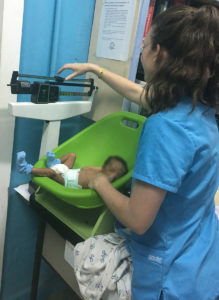 True to our mission, the Roatán clinic also provides an opportunity for local physicians to receive training in pediatrics from our faculty and resident volunteers through a year-long fellowship program, developing greater long-term pediatric expertise on the island. Roy-Burman’s two decades of service to Global Healing extend from Georgia to Roatán and beyond. During his 15 years on our board, he has been a big supporter of our blood safety program, which helps countries that have minimal blood banking infrastructure to create modern and safe blood programs essential to undertaking major surgeries as well as being able to handle traumas. As Roy-Burman notes, our blood safety program started in Tbilisi, expanded into Armenia, and is now offered in many places around the world. For these and the many other accomplishments he helped us achieve, Global Healing extends our deepest gratitude to Dr. Arup Roy-Burman as he steps down from the board after over 20 years of service to the organization. We also deeply appreciate the important contributions of Dr. Sheila Jenkins to Global Healing. We wish them both the best!